5 Reasons to go Modular! The following are the top 5 reasons to go modular in kitchen are as follows. Irrespective of the size of the kitchen, the modular kitchens are customizable and designed to suit the needs of every house. Different shapes are designed for different sizes of the kitchens such as L or Island shaped for the smaller kitchens and U or C shaped for the bigger kitchens. These are designed to cater to all dimensions. The three important vector points of a Kitchen are the Refrigerator, the Hob/Cook Top and the Sink, as a person has to constantly move between these elements, during the cooking process. Consequently,the first step in kitchen design calls for awareness of placement of these units. Nowadays, people move often due to various reasons like job change, transfers, etc. It is a dream come true for the designers and owners to own a kitchen that can be assembled easily into an entirely new kitchen without any hassles. Modular Kitchens allows exactly that ability to alter, fit and move in the same or in a new kitchen, with stylish and sleek looks. The lack of space and rise of population are major issues for any country, city and household. Modular kitchen saves us from this issue. The modular kitchens have benefits like pullout drawers, modular shelves and cabinets of various sizes that allows us to optimise the space much more efficiently. This makes the kitchens look more sophisticated and clutter-free. 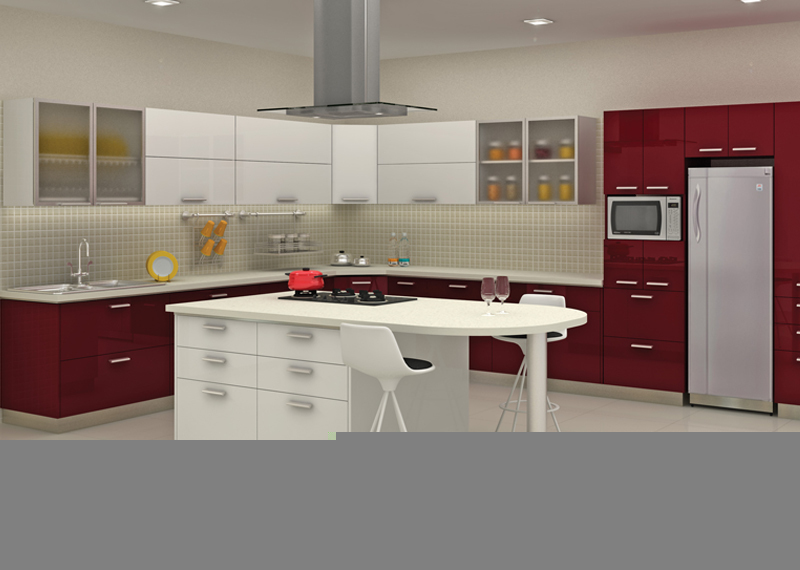 The modular kitchens are designed with accessibility and homemaker’s needs in mind by the architects and designers. Despite of the shrinking kitchen sizes, these modular kitchens have become more practical, sensible and efficient. May it be the compact and efficient arrangements for various kitchen equipments like the perfectly sized cabinets or drawers or the efficient accessibility to reach them makes the kitchen and the cooking more efficient. Earlier, there was a myth that when a kitchen is designed with functionality in mind, there has to be compromises on the aesthetic appeal of the kitchen. But, with the modular kitchens, it is not the case. They are designed to be both practical and to look sophisticated at the same time. This makes the modular kitchens an obvious choice for your house. But, in order for us to achieve the perfect kitchen as planned, we need the right people to do it. Sekhar & Co, helps us to bring our envisioned dreams come true. The following are the 5 reasons to choose Sekhar & Co. The consultations by experts and a good service team to support the customers’ every step of the way.